Are you concerned that your business may be paying too much insurance premium? 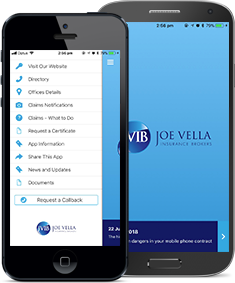 Are you annoyed because your business is having too many claims? Although you’ve been prudent enough to buy insurance, you know that by having too frequent a number of insurance claims it could eventually lead to increased renewal premiums. Or worse still, insurance companies may not be prepared to cover your business due to a poor claims history. What about those out-of-pocket expenses? Sure your insurance policy will pay for the material damage, but what about the time wasted in preparing the documentation? What about lost orders because you couldn’t meet deliveries due to one of your machines breaking down or a delivery vehicle has been in an accident? At JVIB we can consult with you on ways to minimise potential “loss” situations arising or mitigating the impact of those losses should they occur. In addition, for more complex risk situations, as members of the Steadfast Group are able to access information from some of Australia’s leading Risk Management specialists. So if you need a hand with risk management for your business, please contact us and we will be able to provide you with the information you need.